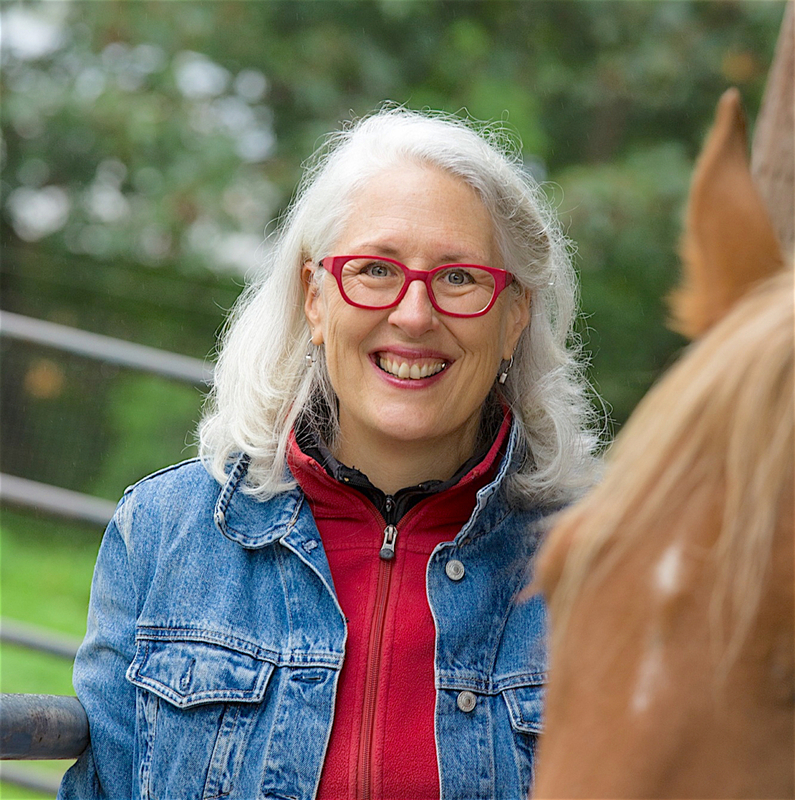 I am Barbara Breckenfeld, and I work with horses of all breeds and disciplines throughout the Puget Sound region of Western Washington from my base in North Kitsap County. My bodywork helps equines return to their natural balanced movement, and supports each horse’s spirit and well being, while engaging their inherent ability to communicate, collaborate, heal, and thrive. Healing happens with respect and love held with quiet, grounded presence. My work is informed by an understanding of biomechanics, anatomy, and how trauma acts in the body. I teach hands-on bodywork clinics to enrich horse owners’ connections with their own horses and empower them as caretakers. As a teacher, I share my enthusiasm for how horse bodies work, and how we can help them to work better. For the good of the horse: my practice is dedicated to the well being of equines everywhere. Curious about bodywork for your horse or hosting a bodywork clinic? Email me to schedule a complimentary 20-minute call. During the call, we’ll learn a bit about each other, and discover if we are a good fit to work together. “Whoopi is much more rounded and connected physically – more embodied. She’s lost a lot of the attitude she used to bring to our human imperfections when working with her. She’s calmer, and more willing to play. 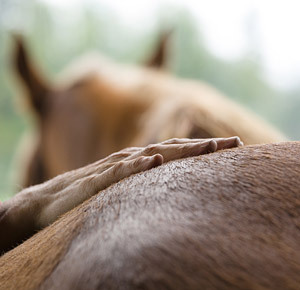 “Barbara’s hands can feel and move the energy in my horse’s connective tissue to effect serious healing and relief. Her compassion and patience encourage a safe space for my horse to settle in to her energy and engage in the healing. Would you like to receive emails from me about horses and horse health-inspired things? Sign up HERE. I promise your information stays with me.